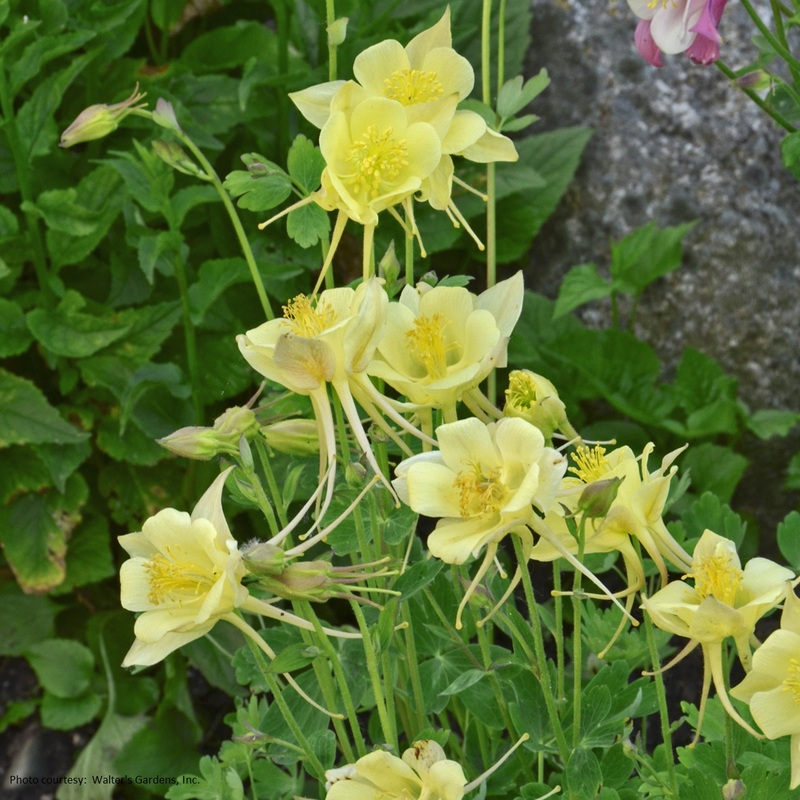 Aquilegia 'Goldfinch'. A yellow member of the "Songbird" series. 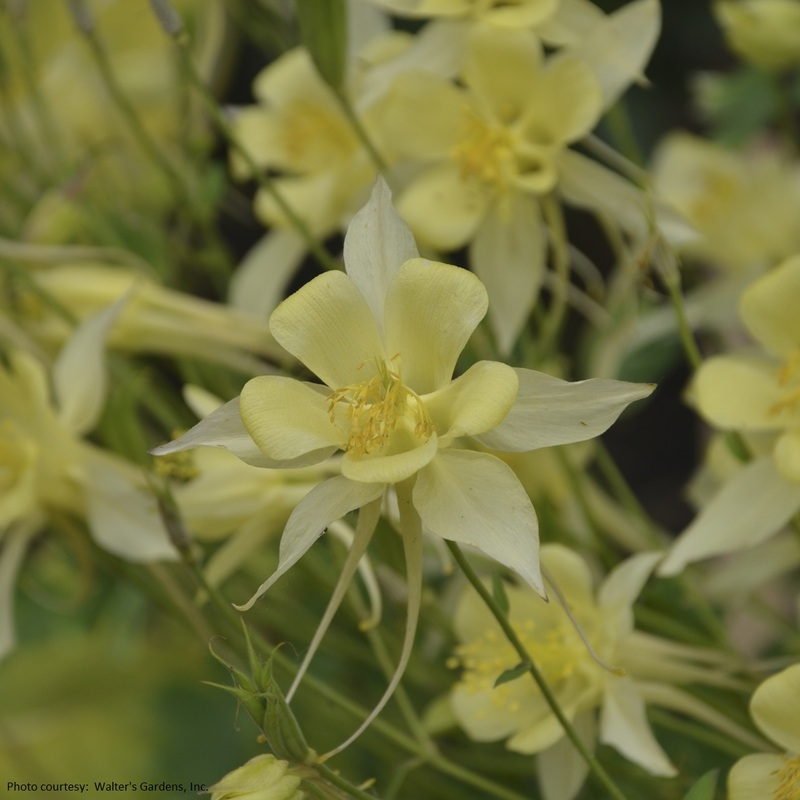 Hybridized for their compact habit and large, long spurred flowers, members of the "Songbird Series" are among the most showy of all columbines. The most unique feature of the plants in this series is the way in which the flowers face skyward, not nodding like many other varieties, maximizing their full visual potential. This selection produces clusters of large 3" blossoms in shades of light primrose yellow.